There’s a lot of things that Kickstarter helped accomplish, but this is perhaps one of the most (if not the most) important project ever: to fund Team USA’s (or MegaBots Inc.) giant mecha. In preparation for its upcoming duel with Suidobashi Industries, the Japanese team, MegaBots is asking up to US$1.5 million (about RM6.15 million) to perform necessary upgrades to its robot. 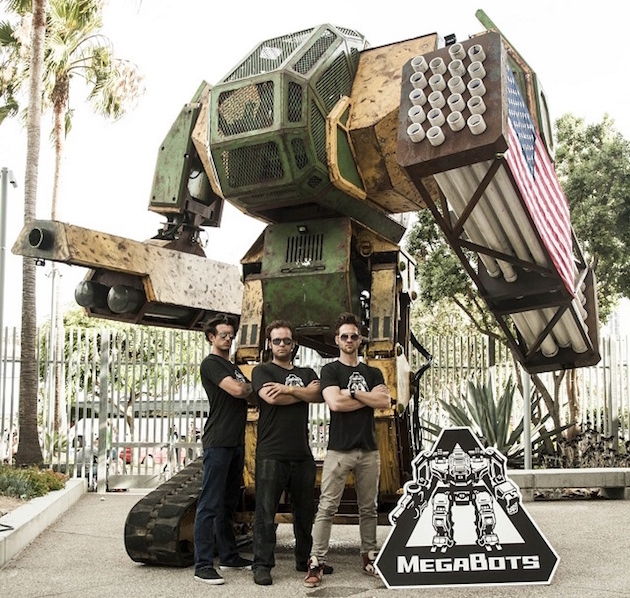 According to MegaBots, the upgrades are vital to ensure that the Mk.II can survive against Kuratas (the Japanese team’s robot), as it was never built for hand-to-hand combat. The minimum target to reach is US$500,000. At the time of writing, the funding has reached US$178,000 with 30 more days to go. If the US$1.5 million goal is reached, MegaBots will even engage with NASA for new life safety systems and give the Mk.II a Hollywood-grade paint job. If you’d like to help Team USA get the necessary funding to ensure that the Mk.II stands a chance against the Japanese team, you can select your reward at its Kickstarter page. One of the rewards is the opportunity to punch a Prius with you controlling the Mk.II’s arms. This, however, would require a pledge of US$5,000, which is about RM20.5k. It would be very interesting to see if Japan will also start a crowdfunding page for Kuratas. In any case, this is set out to be a ridiculously exciting duel. Who doesn’t like watching two giant robots duke it out? The duel is set to happen in summer 2016.